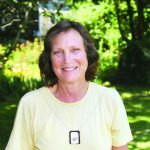 Susan 'Susie' Dunbar Johnson, 66, of Oak Bluffs, died on Sunday, August 22, 2010, peacefully at home. On Saturday August 28, 2010, we lost our son, brother, nephew, grandson, and friend. A graveside memorial service will be held for Edward Cournoyer on Saturday, Sept. The Steamship Authority pier in Oak Bluffs was a buzz of activity Saturday afternoon, just before the BravEncore Theatre Troupe boarded the 3:45 ferry. 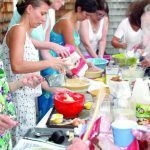 The annual fundraiser for the Aquinnah Cultural Center was held Saturday, August 14, at the Center on the circle at Gay Head. 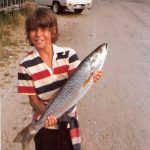 "I've been fishing on the Vineyard for years and years," said the author Paul Greenberg in a telephone conversation late last week. What do you get when you combine 26 women, many of them novice bakers and all of them toting large bowls and all manner of mixing and measuring implements, in a confined space with a celebrity cookbook writer who's running a workshop to benefit the M.
On a gorgeous midsummer eve, 280 guests poured happily into Farm Neck Golf Club on Monday for the Summer Soiree, the signature annual fundraiser for Hospice of Martha's Vineyard. 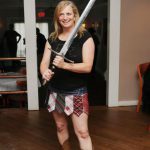 Fun, tears, laughter, music, unrestrained affection for the star of the occasion, and even a standing ovation she would have adored — all this marked a service yesterday celebrating the life of the actress and Edgartown resident, Patricia Neal. At the heart of the new Edgartown Farmers' Market is the booth run by the Edgartown School's PTO. 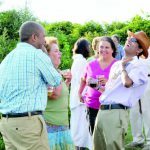 The 13th Annual Water Tasting by the Sea was held at the home of Richard and Nancy Friedman on Oyster Pond in Edgartown on Thursday, July 29. 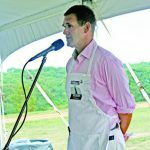 Decorated by a huge white tent Monday evening, Ocean Park in Oak Bluffs was the site of the 32nd annual Possible Dreams Auction, the summer-defining auction of all auctions that benefits Martha's Vineyard Community Services (MVCS). On Tuesday, August 3, the African Artists' Community Development Project will offer two vocal workshops led by Melanie DeMore. 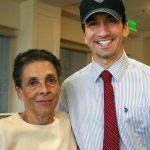 "Hi guys," Sharon Araujo said casually as she walked into a surprise retirement party in her honor on Thursday in the main lobby of the new Martha's Vineyard Hospital. 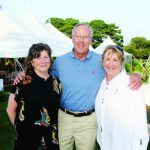 A perfect late June evening provided just the right backdrop for Blooming Bids for Kids, the second annual garden party for the benefit of Big Brothers Big Sisters of Martha's Vineyard. When Margaret Penicaud met a Haitian nun named Sister Monique 13 years ago, she got an immediate sense that Haiti would be part of her future. When Kate Murray and Ellie Parece put their heads together, who knows what zany ideas may emerge, although it's safe to say that creativity and fun will be ingredients. For Louie Larsen, running a fish market is a bit like rolling out of a bunk and scrambling up a mast before the coffee cuts in on an offshore swordfishing trip. 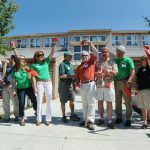 Just 13 months after the first shovel was poked into the earth at the site along the Vineyard Haven-Edgartown Road, the new 35,000-square-foot YMCA of Martha's Vineyard opened for business, and pleasure, on Saturday, June 19.